This board incorporates both Arduino Uno and Arduino motor shield into a single all in one control board. It is versatile and expandable platform for robotics for programming with Arduino IDE. 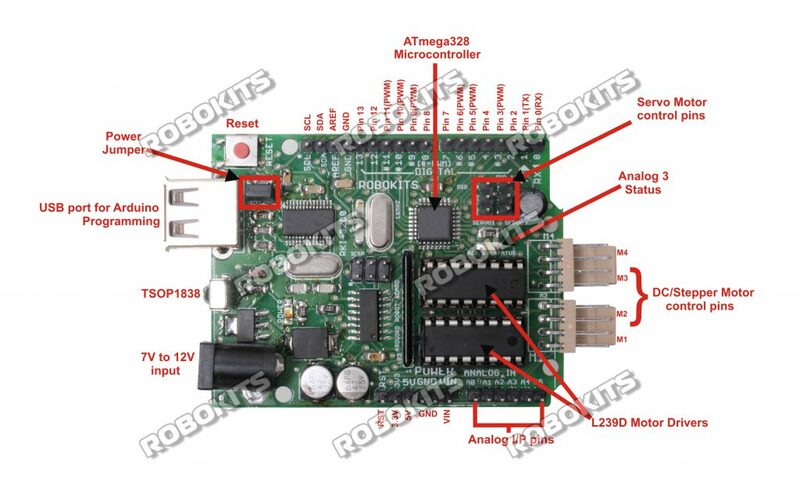 Due to its expansion capabilities the board can be used to control all robots starting from beginners robot to advanced robots with multiple functionality. It is easy to use will all the Arduino Uno and the motor shield functionalities included and can be programmed using Arduino IDE. The board includes TSOP1738 for making IR based robot for easy wireless manoeuvrability.